The chart below shows J.W.’s immediate family. 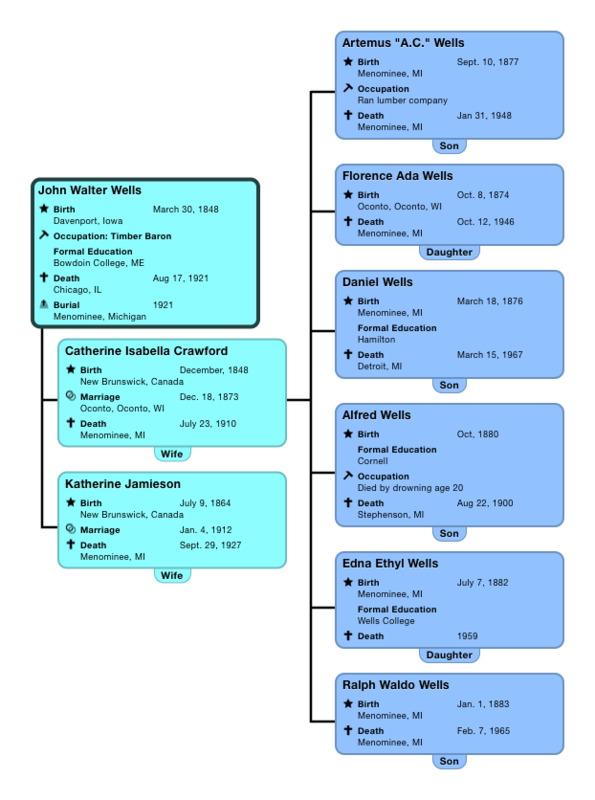 On the following pages are charts specific to each of J.W.’s five children who had descendants (Alfred Wells died without offspring). Best way to view them is on-screen (at least I couldn’t get them to print legibly). Send any additions or corrections to [email protected] or phone (303) 447-3400.